Earlier this morning Digital Management, Inc. (DMI), announced that it will acquire Mission Critical Wireless, LLC (MCW), a mobile infrastructure and mobile device management company headquartered in Lincolnshire, Illinois. DMI’s acquisition of the MCW will dramatically increase the company’s mobile offerings and capabilities for Federal clients. “Our overall corporate strategy is to stay ahead of the latest curves in technology on building out a robust end-to-end solution for enterprise mobility. Many companies offer a strategy component or integration. Mission Critical brings the manages services aspect, the actual device management,” Sunny Bajaj, CEO of DMI, told WashingtonExec. “One of the things we came to realize is that the companies shared a lot of the same values. It felt like a good fit,” Dan Croft, founder and CEO of MCW, told WashingtonExec. Despite MCW purely commercial business, DMI plans to use MCW’s capabilities to make a big play in the federal market by expanding it’s offerings and solutions from inception and implementation to management and service support. “We took a holistic approach in regards to mobility. Rather than offering small, discrete solutions, we really wanted to offer the complete end-to-end enterprise mobility solutions. That is why we are taking an approach where we can organically build and also buy the capabilities so that we can truly go to a client and say ‘ok, we can solve your mobility problems for you from soup to nuts,'” explains Bajaj. Dan Croft, a long-time wireless industry executive, founded MCW in 2004. MCW’s clients range from pharmaceutical companies, football teams, Fortune 500 companies and media outlets. “Associated Press is one of our clients, we manage its mobility infrastructure worldwide. Even in the sports world, we implemented a project for the Houston Texans. We implemented a solution so that they issue their playbook electronically on iPads,” said Croft. DMI is a leading provider of mobile solutions, applications development and cybersecurity solutions. The company recently showcased at the Second Annual Federal Mobile Computing Summit held at the Ronald Reagan Building and International Trade Center on August 8. 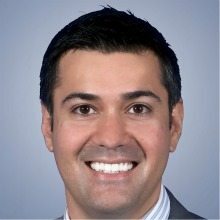 You can also read WashingtonExec‘s interview with DMI’s Executive Vice President of Enterprise Solutions, Sam Ganga, about “The Five Major Trends Shaping Mobility in 2012” here.